Hope for Prisoners is committed to serving our community through outreach projects and involvement is serving those in need. 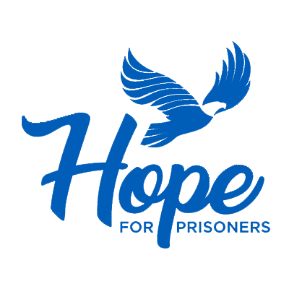 HOPE for Prisoners gives hope to those who feel that all has been lost. Hope for Prisoners re-imagines reentry by providing the formerly incarcerated long-term support and services as they work to reclaim their lives, families and standing in the community. We give them hope. Hope changes lives. Founder Jon Ponder found himself returning to his community after spending time in prison and experienced firsthand the same challenges most face when they are released. He realized there was a lack of long-term support and guidance for those who learned from their mistakes and had a genuine desire to change the direction of their lives. From his personal experience and his passion to help those facing the same challenges he overcame, HOPE for Prisoners was born. The success of our clients is the result of their long-term commitment and relationship with their mentors. What makes Hope for Prisoners different from other organizations is its partnership with local law enforcement. This helps clients to understand the role of law enforcement in the community. This understanding helps clients overcome their fear of police and build respect for law enforcement.